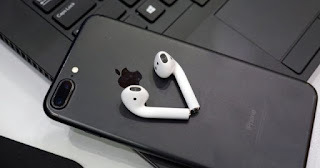 One of the gestures that I repeat most frequently every day is to open Spotify , place some AirPods, which have become one of Apple's best-selling devices , and start enjoying music. This, which may not seem like a problem, can be so, especially in boys and girls, if you do not have control over the volume of the headphones . And is that according to a study conducted in the United States, 14% of children who listen to music through headphones, have hearing problems , as a result of listening, for example, music or videos, using headphones with excessive volume. This causes them to lose high frequency hearing, a form of hearing loss caused by exposure to noise. In Europe, the regulations of the European Union oblige manufacturers of devices where music can be heard, to offer a maximum volume of 85 decibels . However, in the United States and other countries around the world there is no such limit although, for example, Apple has a limitation, which, for the time being, has never been made public in the form of decibels. If you want to activate the volume limiter on your children's iPhone, and you do not have the confidence that they will not modify it, you can do it from Restrictions, where you can create a code to prevent anyone from changing your choice of maximum volume You can play on the iPhone. Have you been able to limit the volume of your iPhone to avoid hearing problems that all or almost all of us will have sooner or later?